RoseGal.com is an emerging global online retailer that provides the best in one of a kind vintage fashion and retro style items along with the latest style outerwear, watches, dresses, bags, jewelry, and rings. They offer thousands of inexpensive product lines and iconic styles. Clothing from between the 1920s to about 20 years ago is considered vintage. Few styles can capture the imagination like vintage. The vintage style has the ability to conjure up alluring images of classic fashion. 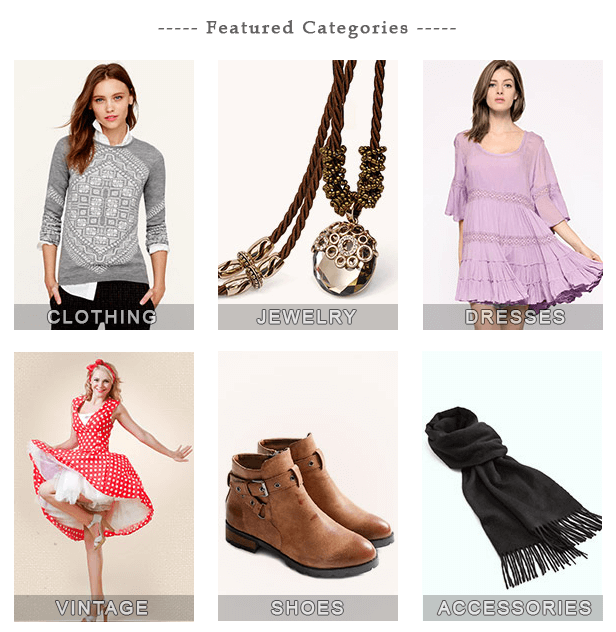 Vintage offers refined fashion that is influential, charismatic, and personal from the free-spirited nature of bohemian chic to the sophisticated baroque designs that transcend time. The very nature of vintage makes it hard to reliably find clothing that captures its eternal appeal at an affordable price. Fortunately, RoseGal.com does all of the work for you, and you don’t have to rummage through endless racks of clothes in a musty old vintage shop. In fact, you don’t even have to leave your home! 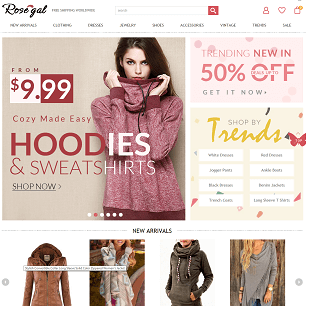 A group of friends who share a deep passion for stunning fashion and clothing founded RoseGal. They were specifically interested in the limitless potential that combining modern and vintage apparel provided. They believe in the always en vogue character, stylized elegance, and understated simplicity of vintage clothing. They see it as a uniquely timeless fashion statement. They combine their love for vintage with the evolving and transformative nature of modern styles that capture the essence of edgy lifestyles and urban energy. RoseGal’s mission is to capture the hearts and imaginations of their customers by offering both styles of shoes, accessories, and clothing. Their goal is to share their love for high fashion with everyone while being inspired by the natural appeal and charm of the broad range of fashionable clothing. RoseGal makes it easy for you to browse or to go directly to exactly what you are looking for. 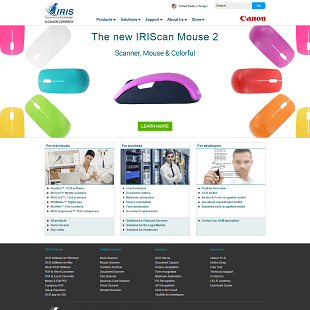 Like many online retail stores, the departments are listed along the top of each page. This includes New Arrivals, Clothing, Dresses, Jewelry, Shoes, Accessories, Vintage, Trends, and Sale. 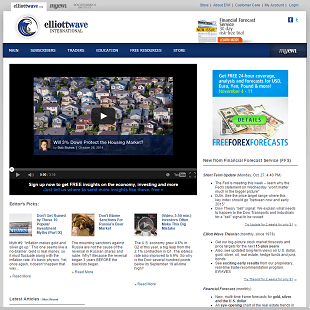 Top promotions are also featured prominently above the fold. As you scroll down, you are given the option of shopping by color. I found this incredibly useful for finding the perfect accessory to complement a dress. There is also an extensive Style Gallery consisting of photos of customers wearing their latest purchases. If you are shopping on a tight budget, you can make a beeline for the $9.90 zone, which is like a dollar store only more expensive and with items you actually want to buy. Within each department, there are several sub-categories to make finding what you want easier. I liked that you could sort the products by what’s new, hot, likes, recommended, and by price. There was also a wide variety of filters, including by size and color. Speaking of sizing, RoseGal has it all. As a full figure woman, it is often hard for me to find items in my size online. But, I found that they had products as large as 5XL, not that I needed anything that large. In addition, each article of clothing has precise measurements for the bust, waist, length, shoulder width, and sleeve length for every size, so you know exactly what you are getting. You do not have to just trust RoseGal’s sizing guide. 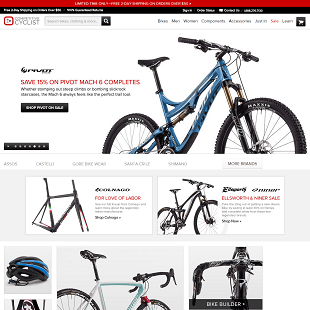 The items they offer also have a review section on the product page, and one of the factors that shoppers can rate the items on is if the fit is true to size. For the reviews I looked at, the fit was almost always true to size. I also liked that there were actually active review sections on RoseGal. Many online retailers will have review sections, but there will be zero reviews. Another unique top feature of RoseGal is their shipping. 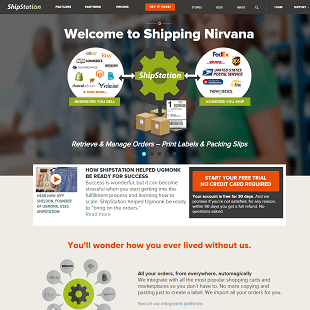 They offer free shipping to nearly every country on the planet. To make certain packages arrive securely and safely, they employ the services of major international carriers, including IB, DHL, EMS, FedEx, and UPS. The free shipping takes 7 to 25 business days. However, if you need an item sooner, you can choose expedited shipping to get it in as little as three days. RoseGal offers a comprehensive 30 Day Return Warranty. This means that you can return any items within 30 days after it is delivered to you. All products must be returned in their original packaging and condition with all tags clearly attached. You can even return items that you just decide you no longer want after they are delivered. You can forget about finding any place with better prices than RoseGal.com. In fact, you would have trouble paying a lot for anything on the site. The most expensive vintage dress they carry is $60. Prom dresses start at under $13. You will not find deals like this anywhere else. Plus, they are constantly having sales, and promo codes are available. You would also be hard-pressed to find any online retailer that offers free shipping worldwide on orders of any size. 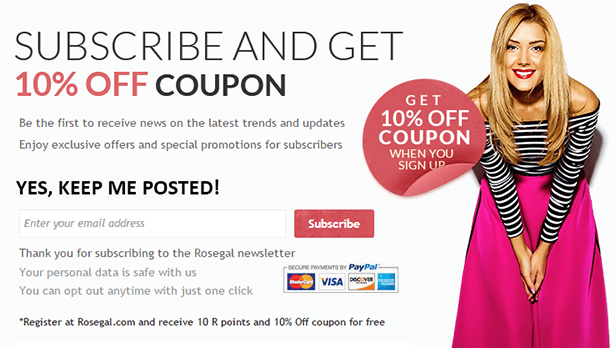 The prices are perhaps the best feature of RoseGal, and when you sign up for their newsletter, you get $50 in coupons instantly. I enjoyed my experience with RoseGal. All of my orders arrived on time, and there were no snafus. In order to find out what other people had to say about the site, I took to the fashion discussion boards. 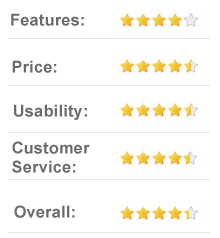 There were a lot of positive reviews out there. The main factor that attracted customers to RoseGal was their prices. I did see one complaint consistently. Many people were not happy because they did not realize how long it would take for their order to arrive. RoseGal clearly states that for the free shipping, it may take up to five weeks for items to arrive. This may seem a bit long if you are not expecting it. If you need your order sooner, there are expedited shipping options. 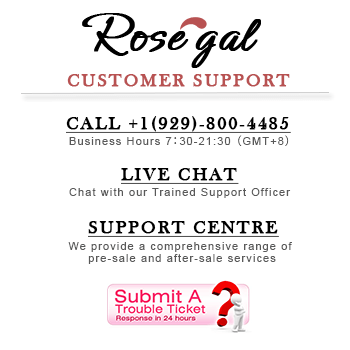 RoseGal has several customer support alternatives. The most efficient way to get your issues resolved is by starting a support ticket on their website. They also have live chat and a phone number you can call. If you prefer to try to solve your problems yourself, there is an extensive FAQ section on the site as well. They are also active on social media. To test out the customer service, I called late on a Friday to see if I could catch them out of the office. I was greeted by a friendly and knowledge representative who was able to answer all of my questions. She also pointed me to some documentation on the website to learn more. [+] What payment methods are accepted? RoseGal uses PayPal. 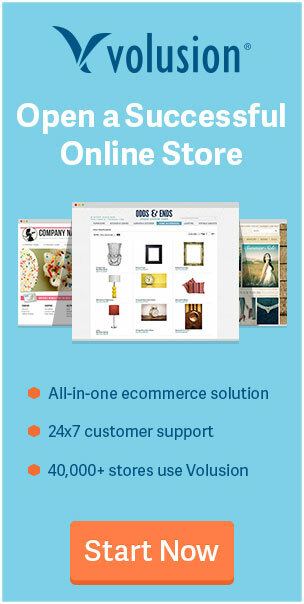 This is a trustworthy and secure payment processing service that is used by many major online retailers. Via PayPal, you can make purchases using debit cards, e-checks using your regular bank account, or credit cards, such as Discover, Visa, American Express, and MasterCard. This is a nice feature because RoseGal never gets your credit card information. This limits the potential for unauthorized access or use. [+] When will you receive your items after placing an order? The destination country and shipping method will determine the delivery time. In addition, they sate that deliveries may be postponed due to any “situation which cannot be foreseen or avoided,” such as earthquakes, typhoons, war, severe weather conditions, storms, or flooding. I thought the inclusion of “war” was rather odd, but it is more of a testament to how they truly ship just about everywhere. [+] How can you tell if your order has been shipped? They will send a notification email to the address you registered with them when your products are on their way. Within the next few days, your tracking number will be available, and they will update the tracking info on your account. You can then track your order on the site of the relevant delivery company. [+] Can you get discounts for larger orders? You can! The discounts increase as you order more pieces. For instance, you will get a five percent discount if you buy ten pieces. They will give you a quote if you want to buy more than ten items. The bottom line is that I would strongly recommend RoseGal.com. They offer free delivery, handpick the best vintage clothing, offer free returns if you are not happy with what you bought, and their prices are low. Pay extra attention to the sizing for each item to make sure you are getting what you want. You also need to be patient, since the products are coming from China. It will take more than a couple days. RoseGal.com is now my go-to website for vintage clothing despite the inexpensive materials. They make buying unique fashions simple. Plus, they do a lot to sweeten the deal by offering deals on the regular. What are you waiting for?